Dillon Eustace, announces the appointment of Keith Waine, as Partner and Head of the Financial Regulation team. 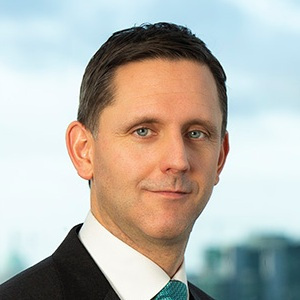 Keith will be responsible for providing regulatory advice and support to domestic and international corporates, financial services providers, banks, investment firms, retail credit firms, credit servicers, payments firms, e-money firms and insurers. With 10 years of industry experience working as Head of Legal and Compliance at National Irish Bank (later Danske Bank), Co-Founder and Chief Compliance Officer of an alternative mortgage lender and Head of Legal at Barclays Bank Ireland PLC. Keith qualified as a solicitor in 2002 with Linklaters in London, where he spent eight years. He holds the LCOI designation from the Association of Compliance Officers in Ireland. Commenting on the appointment, Mark Thorne, Managing Partner, said: “We are delighted to welcome Keith to our team. His extensive practical experience in advising on managing regulatory authorisation processes and ongoing regulatory issues, make him a great fit for the team and the firm. We look forward to working with Keith and providing tailored solutions to challenging issues to our clients and helping them manage their business within the fast-changing regulatory environment”.